Here at Woman’s Weekly we were delighted to see a new batch of pictures released ahead of Princess Charlotte’s first birthday. 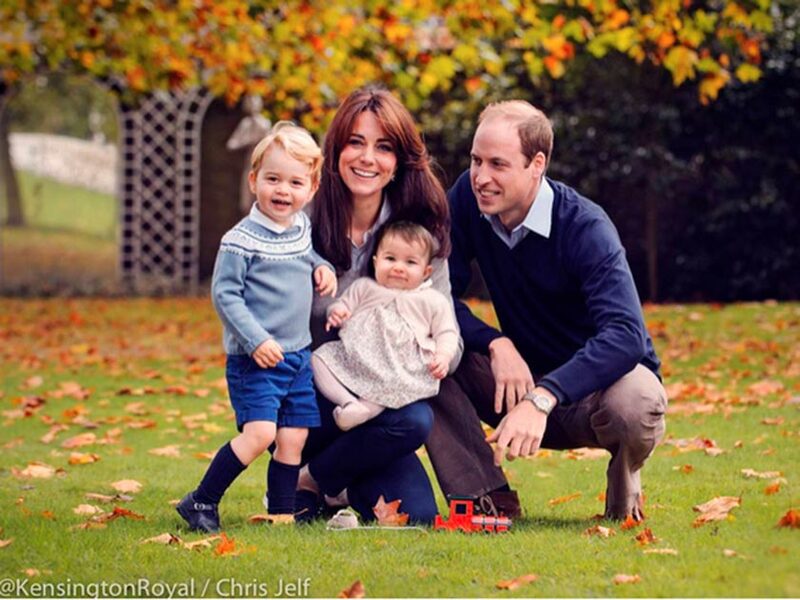 The photos were taken by the Duchess of Cambridge at the family’s home in Norfolk. Kate Middleton and Prince William’s little girl models two outfits in the sweet set of images including a cream vintage-inspired knit worn over a pastel blue frock. 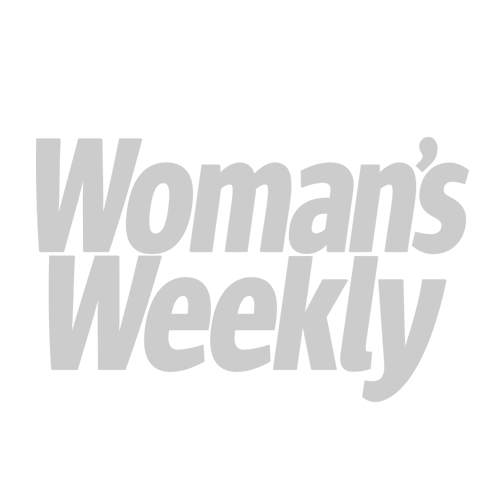 The cardigan is priced at £59 and was made by British retailer Olivier Kids. 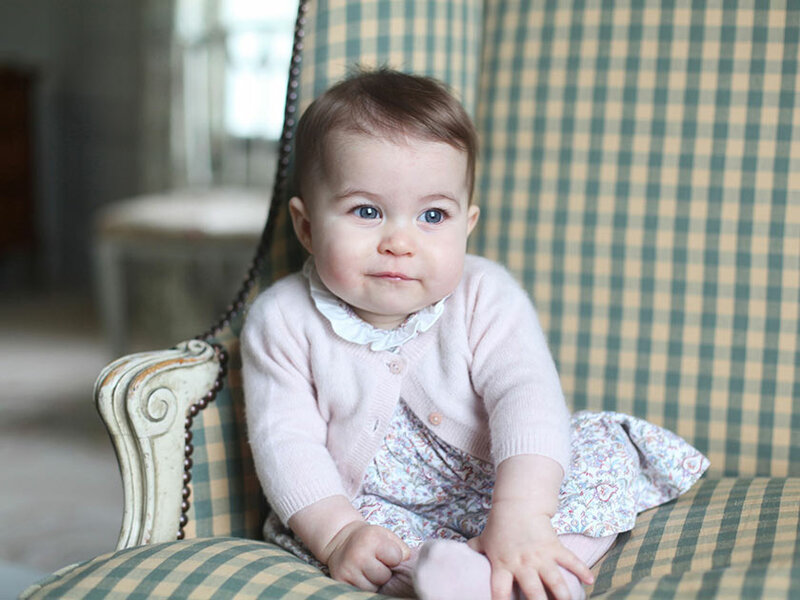 ‘The cardigan Princess Charlotte is wearing was actually our first design,’ the brand’s founder Emma Davison told The Telegraph. Another snap sees Princess Charlotte pushing along a toy while dressed in a pale pink M&H cashmere cardigan and dainty floral dress. The adorable 1-year-old sported a strikingly similar look when she posed with her parents and big brother George for the family’s 2015 Christmas card. The soft knit also appears to be the same one Charlotte is wearing in a set of gorgeous snaps recently taken by her proud mum and released in November. It’s clear brother Prince George is now a real little boy and little sister Charlotte already has a cheeky personality. 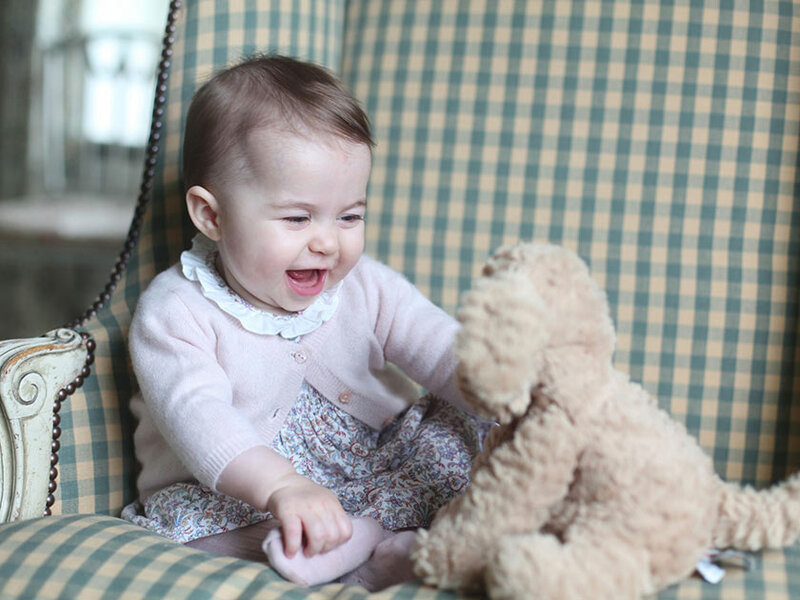 Charlotte Elizabeth Diana is such a beautiful name and her cardie with three-quarter length sleeves and pale pearly buttons suits her perfectly. The Duchess of Cambridge teamed it with a frill-necked dress and pink tights to create a totally charming outfit for her 7-month-year-old daughter. Knitting for babies is such a pleasure and we’re sure you’ll be inspired to start a little cardie knit for a baby in your life. 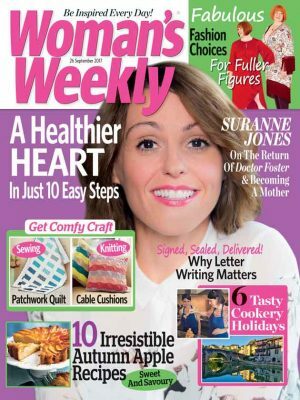 The Woman’s Weekly tried-and-tested baby knitted cardigan pattern below is very special. It’s a vintage design from 1962 when Charlotte’s late granny, Diana, Princess of Wales, was a baby herself. White yarn is the traditional unisex choice but this pattern would also look delightful in pink, pale blue, lemon, lilac, peach or mint green. The lace sections are easy to do but if you’d like a few tips on the technique, watch our video tutorial on lace knitting. The great thing about baby knits is that, though fiddly, they’re quickly completed so before you know it, you’ll be ready to sew your sleeves and sideseams together. Stitch on co-ordinating buttons or for an original look, try a contrasting colour or even a witty mix of shapes and shades. Knit a baby knitted cardigan as pretty as Princess Charlotte’s – call our shop team on 0800 024 1212 quoting code WBD044.